Amidst the cacophony of claims made about forgiveness, this book serves to aid in an effort to put "forgiveness in perspective." Marieke Smit and Christopher R. Allers have collected here ten essays written by twelve authors from around the world and across the disciplinary spectrum including philosophers, practitioners, psychologists, literary theorists, and prison chaplains. 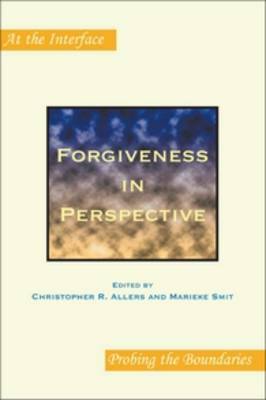 All the essays offer a perspective on forgiveness and put forgiveness in perspective whether by tracing what forgiveness "is," how this religious inheritance is worked out in our secularizing societies, how forgiveness works in our quotidian experience, or a particular manifestation in a particular context such as marriage, prison, or after an abortion, to name a few. The multi-disciplinary character of this book provides a multi-disciplinary appeal as well as a resource to enlarge one's own perspective on this perplexing, enigmatic, and wonderfully complex concept of forgiveness.